Flabellina pedata unfortunately has no common name (though is sometimes synonymised as Doris pedata or Coryphella pedata). It is a species of Nudibranch, a marine mollusc, so called as their gills are not enclosed and hang over the back (nudus – naked, brankhia – gills). Nudibranchs are small, generally colourful, molluscs lacking an external shell, hermaphrodites and exclusively marine. 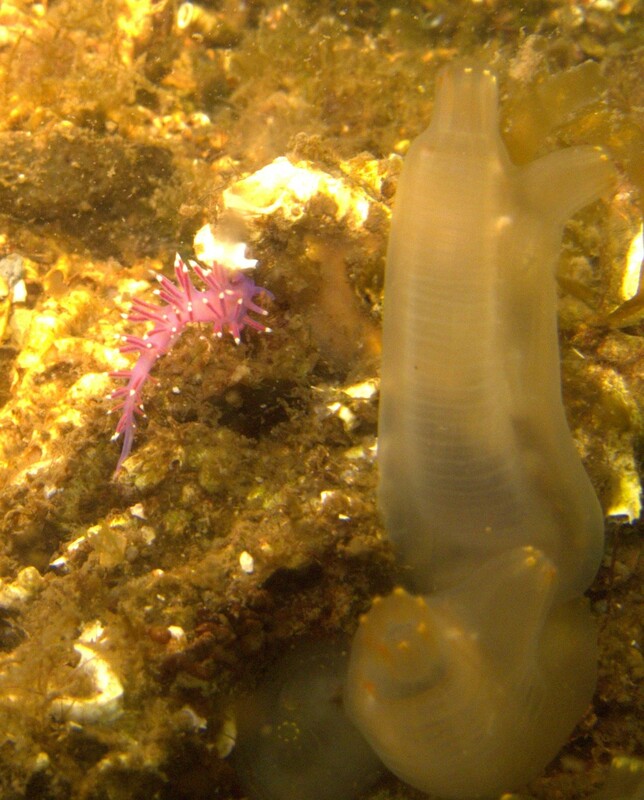 Of the 3,000 species of nudibranch that occur worldwide, 5% are found in the British Isles. 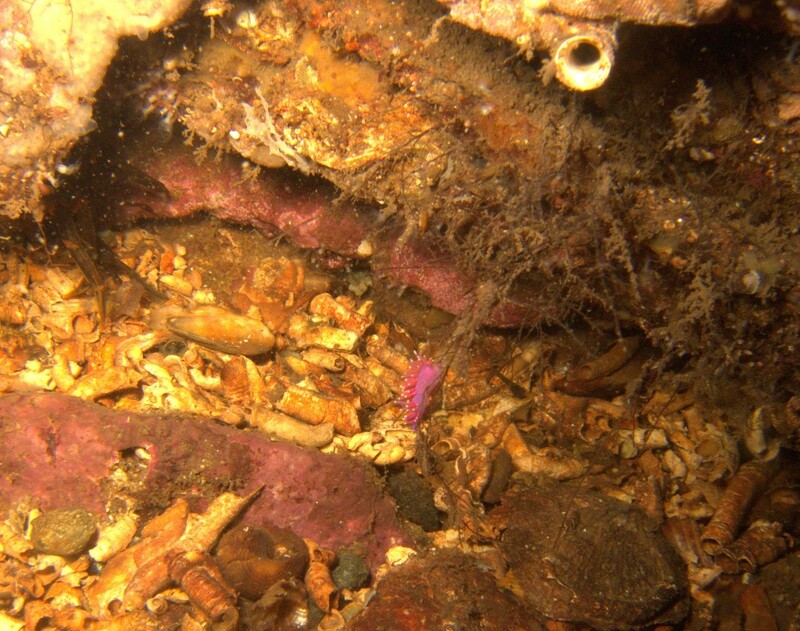 Figure 2: F. pedata pictured beside the fluted sea squirt Ciona intestinalis. 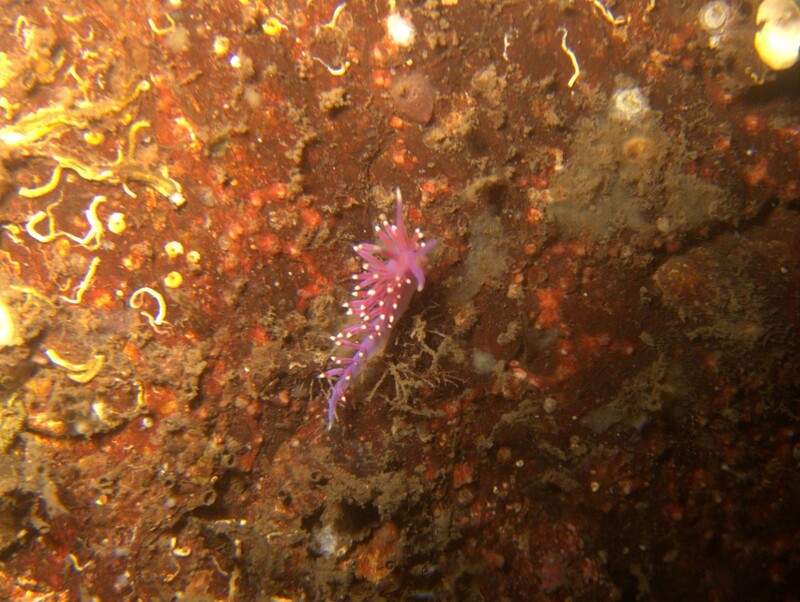 A bright pink or violet species, F. pedata is the only pink/violet nudibranch in Irish waters and can grow up to 48mm in length and is unlikely to be confused with any other species found in Irish waters. Indeed, generally the only issue with this species is due to their size as they can be difficult to spot, as below. 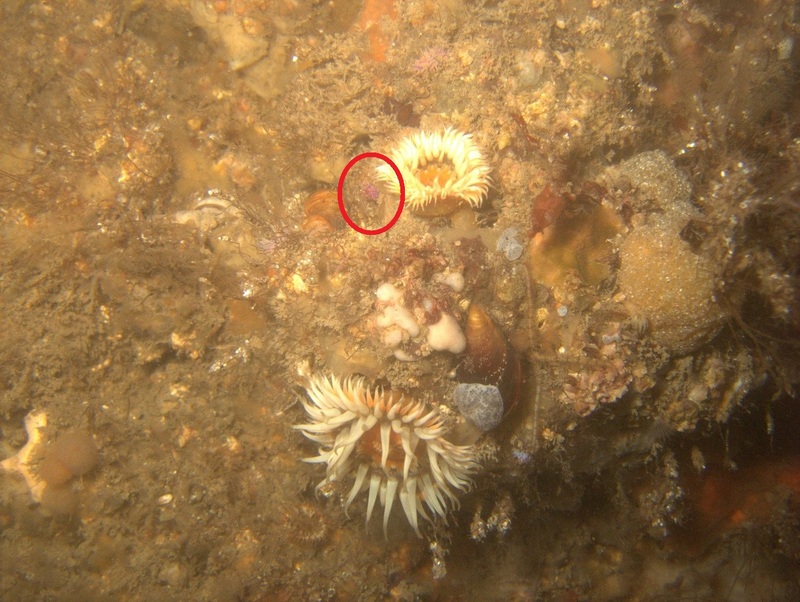 Figure 3: F. pedata concealed to the left of the anemone just above the centre of the photograph. Larvae of the species are planktonic with spawning occurring May to September. F. pedata is found from Norway to the western Mediterranean and feeds on Eudendrium ramosum (L.), a species of hydroid. Egg masses are thin white spirals, coiled around E. ramosum. 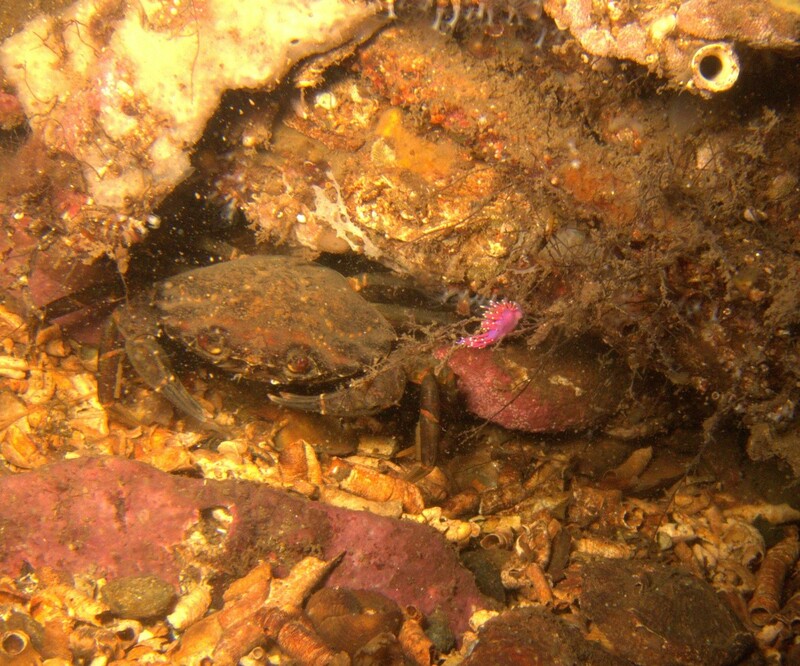 Likely found on all coasts where suitable habitat is available, gaps in distribution are likely to be an artefact of recording effort. Figure 5: Distribution of F. pedata, data courtesy of National Biodiversity Data Centre. 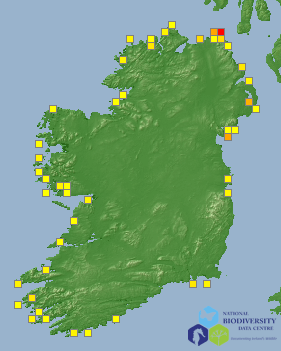 Rory O'Callaghan is currently the National Coordinator for Seasearch's citizen science site monitoring scheme. He originally completed a B.Sc. in Applied Freshwater and Marine Biology in GMIT before undertaking a M.Sc. in Animal Behaviour in Anglia Ruskin University Cambridge. His primary research interests are on the use of citizen science for species monitoring, competition theory, invasive species and anything shiny that crosses his path.